If you are still shying away from the idea of getting in front of the camera, 2018 MUST be the year you resolve to change that! Why? 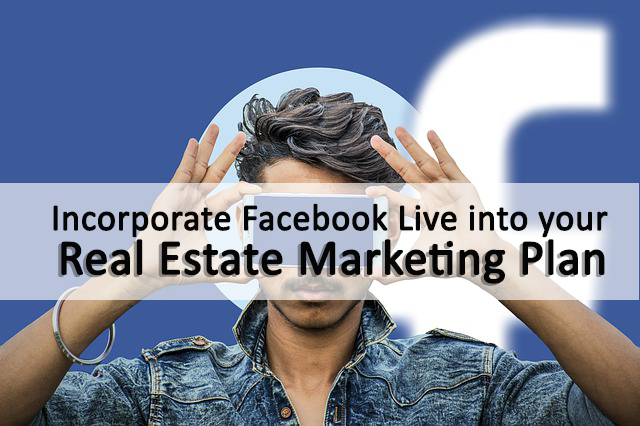 With Facebook Live taking the social media world by story, now is the time to start incorporating live streaming into your real estate social marketing strategy. The good news is that you probably already have the tools you need! Facebook page? Check! Smartphone? Check! You’re probably wondering, “well what on Earth am I supposed to talk about?” Think about normal interactions you have with your leads in person or over the phone. What questions are commonly asked? What information helps them decide if they are ready to buy or sell? These can be perfect talking points for a Facebook live session. Probably the most commonly given advice for most things in life, but it still holds true for live streaming. Let your personality shine through. Don’t be afraid to let a little of your personal life show through. You can discuss funny life stories about your children, or some of your favorite exercises or really whatever it takes to showcase a bit of what makes you the likeable person (and agent) that you are. The more you involve the community, the more you will become a household name as an agent. New business opening? Great! Take this opportunity to take your followers on a virtual tour. Parade or another local event happening? Go ahead and stream away! Offer just a sneak peek at your new listing. Be sure to promote when it will be happening, build excitement and reveal just enough to really build intrigue. Interviews are great live streaming opportunities. Sit with an expert, whether it be a home inspector or a real estate lawyer, and industry expert can be a great way to get people interested in, and following, your Facebook page. Everyone loves a giveaway or contents. Pair yourself up with a local business looking for exposure, decide on a giveaway and you are both in a win-win situation! So now that you are totally jazzed up and ready to roll, are you wondering how you can make your business page “Facebook Live” ready? Well technically, if you’ve got a page, you ARE ready. We might recommend, however, making sure that it’s optimized to start capturing that all important lead information. To learn more about this and our social media packages, request a demo today!